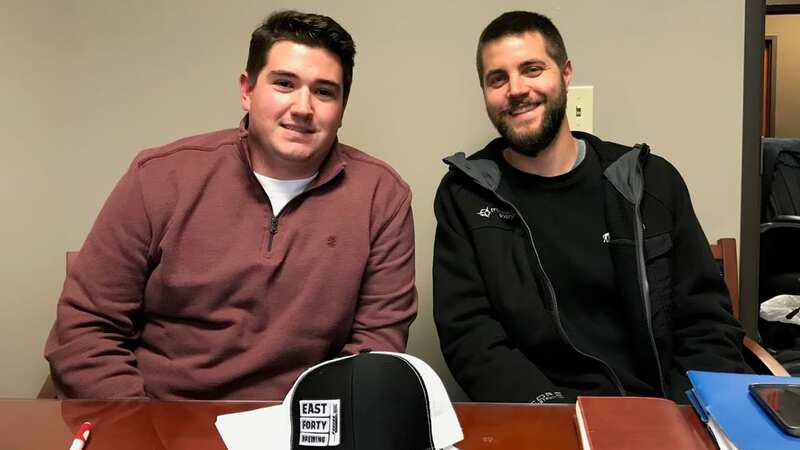 East Forty Brewing (1201 W. Main St., Blue Springs, Missouri) plans to open in a former print shop as a 5,000 square-foot space which will house the brewery, taproom and kitchen. Founder and brewer David Mann and co-owner Matt Bryan anticipate a May 2018 opening for the new venture. The brewery name refers to the east side of the Kansas City metropolitan area. Mann and Bryan view Blue Springs as the transitional area on the edge of the metro, where city transforms to country. He enrolled in the Ewing Marion Kauffman Foundation’s FastTrac business planning course. Mann also attended the Craft Brewer’s Conference in April to plan his business launch. “I’ve always had that desire to work for myself and sell something that I have produced,” Mann said. As a brewpub, East Forty Brewing will offer growler fills and limited bottles releases from the taproom. The taproom will sell a limited food menu of snacks and light meals. Mann and Bryan plan to build a seven-barrel brewhouse and a half-barrel pilot brewhouse. Planned brews include a light, easy-drinking wheat, a pale ale with tropical fruit and citrus notes, a malty and sweet red rye ale, a French saison with ginger and lime, and a porter, occasionally with coffee, chocolate and various other spices. Mann has also experimented with bourbon barrels sourced from a local distillery and brewery for aging beer. Wakarusa Brewery (710 Main St., Eudora, Kansas) opened this past weekend in an abandoned antique mall. Founder and assistant brewer John Randtke purchased the building in January of 2013 and began the slow, arduous process of renovation. At the grand opening, Randtke and brewer James Hightree tapped Extra Pale Ale, Oatmeal Stout, Ginger-Chamomile Mead, Belgian Wit and New England IPA. Kansas City Bier Company (310 W. 79th St.) released Winterbock (8-percent ABV, 24 IBUs). The beer’s dark brown color comes from generous portions of amber Munich malt, smaller amounts of specialty malts and double decoction, which contribute a full body and rich flavors of molasses, caramel, toast, and dark dried fruits, according to head brewer Karlton Graham. Also, the taproom has new operating hours: Monday (closed for private events), 2 to 11 p.m. Tuesday through Friday, 11 a.m. to 11 p.m. Saturday, and 11 a.m. to 9 p.m. Sunday. Happy hour runs 2 to 5 p.m. Tuesday through Friday. 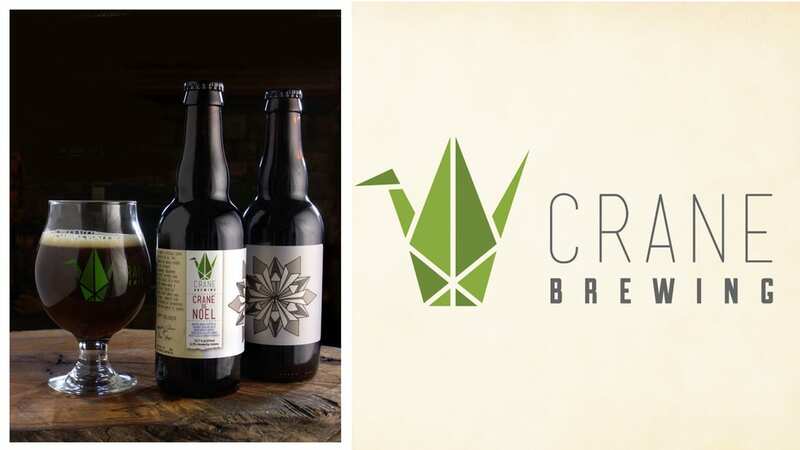 Crane Brewing Company (6515 Railroad St., Raytown, Missouri) will soon release Crane de Noel, a dark sour ale with winter spices and plums, as a limited-run beer distributed in its new 375-milliliter bottles. Homebrew supply shop Grains and Taps (10 SW Third St., Lee’s Summit, Missouri) added a pizza menu to complement its taproom offerings. Calibration Brewery’s (119 Armour Road, North Kansas City, Missouri) new lunch menu includes sandwiches, soups, salads and desserts. The brewery also has a wider range of entrees and other offerings for dinner. Happy hour specials (4 to 6 p.m.) include a dollar off craft beer and spirits with appetizers such as chicken tacos, beef tacos and fried pork rinds. BKS Artisan Ales (633 E. 63rd St., Suite 120) will establish regular operating hours in December (details to come). Look for a grand opening in mid-December. On tap for 2018 is a second floor space (currently under construction), where most of the 1,800 square-foot space will be dedicated to a sour beer program with room for 60 oak barrels. A small koelschip will be installed, allowing for spontaneous fermentation of “beer with terroir of Brookside,” brewer and co-owner Brian Rooney said. The remaining space will be utilized for spirit barrel-aged stouts. Rooney plans to have the second-floor space ready by February and anticipates delivering barrel-aged sour beers and stouts during late summer 2018. Weston Brewing Company (500 Welt St., Weston, Missouri) released Father Mescan Bog Myrtle Ale. According to the brewery, the beer’s namesake inspiration was St. Patrick’s friend and personal brewer Father Mescan. Mescan favored bog myrtle, a wild, astringent and fragrant herb native to Ireland that was used to flavor beer prior to the cultivation of hops. German immigrant and brewer John Georgian obtained the recipe and hid it in the cellars of the original Weston brewery, established in 1842. The brewery’s current owners recently found Mescan’s recipe in the cellar and recreated the amber ale. Weston Brewing plans to can the beer, which is available now at its taproom. Cinder Block Brewery’s Black Squirrel Russian Imperial Stout hits the market as a limited release. Bier Station (120 E. Gregory Blvd.) has the beer and six other Cinder Block brews on tap, starting at 4 p.m. Meet the brewery owner, snag a Black Squirrel logo glass (limited supply) and score some brewery ephemera. Hopcat (401 Westport Road) hosts a five-beer, four-course Martin City Brewing beer dinner at 6:30 p.m. Pairings include cheesy corn fritter with Dream Quest Chardonnay Barrel-Aged American Wild Ale and chili (sans beans) in a spiced bread bowl with smoked cheddar matched with Fall Back Brown American Brown Ale. Rock & Run Brewery and Pub (114 E. Kansas St., Liberty, Missouri) releases Black Dog, a black Cascadian IPA named for Led Zeppelin’s classic song, that roars with black, roasted malts, piney, earthy hops, and a bitter finish that barks but doesn’t bite. Warrior, Chinook, Bravo and Columbus hops produce a complex bitter beer with hefty roasted coffee and burnt toffee notes. Purchase a Founders Brewing Breakfast Stout and keep the mug (while supplies last) at International Tap House (403 E. 18th St.). Bring that mug back any time before close on Nov. 29th for discount pours. Flying Saucer (101 E. 13th St.) taps Black Squirrel Russian Imperial Stout. Tipsy North Oak (6289 N. Oak Trafficway) has a ribbon-cutting ceremony from 3:30 to 5:30 p.m. with tastings, drawings and giveaways at the liquor store. Burg & Barrel (7042 W. 76th St., Overland Park, Kansas) taps Dogfish Head brews Palo Santo Marron, Carobock, 61 Minute and Sea Quench for happy hour from 5 to 8 p.m. Grain to Glass (1611 Swift, North Kansas City, Missouri) features five Christmas seasonals, including St. Bernardus’ Christmas Ale, for its Thursday Tasting series, part one, from 5 to 7 p.m. The homebrew supply shop also assembled a set of 24 beers for its Beer Advent Calendar to be enjoyed daily starting December 1st. A dozen beers are also available as a 12 Days set. 99 Hops House (777 NW Argosy Casino Parkway, Riverside, Missouri) taps Black Squirrel Russian Imperial Stout and other Cinder Block beers at 5 p.m. Black Squirrel logo glassware will be available to the first 24 guests. Meet Cinder Block’s owner and brewer. At HopCat , Prostate Network, Chop Tops and Torn Label Brewing Company unite to host a beard, mustache, and specialty facial hair competition at 9 p.m. in support of prostate cancer awareness. HopCat will take donations from 6 to 9 p.m. A dollar from each sale of Chop Hop, Torn Label Brewing’s Dry-Hopped Alpha Pale Ale, will be donated to the Prostate Network. Border Brewing Company (406 E. 18th St.) kicks off its We Brew For You fruit beer voting process. Visit the taproom and try a flight of four test beers with a different fruit puree (peach, pineapple, black currant, soursop). Vote for your favorite on Dec. 1 by placing a ticket in the voting box. The winning fruit beer will be brewed for later release. Tallgrass Brewing presents Rose Brooks Night at Bier Station from 3 to 11 p.m. Join brewery owner Jeff Gill at this fundraiser to support Rose Brooks’ mission to end the cycle of domestic violence. All proceeds from kegs of 8 Bit Pale Ale and a special Rose Brooks cask of 8 Bit Pale Ale, infused with fresh rose tips, will benefit the families and pets of the Rose Brooks Center. Silent auction items include a Tallgrass LED, a tin tacker, wooden Buffalo Sweat sign, branded cooler, branded soft cooler and gift baskets. The Burger Stand at The Casbah (803 Massachusetts St., Lawrence, Kansas) is the first place in Kansas to tap Founders Brewing CBS Imperial Stout. Founder’s Kentucky Breakfast Stout and All Day IPA will be on tap, as well. Try the beers with a special pairing of poutine fries made with limited-edition Founder’s CBS red-eye gravy. 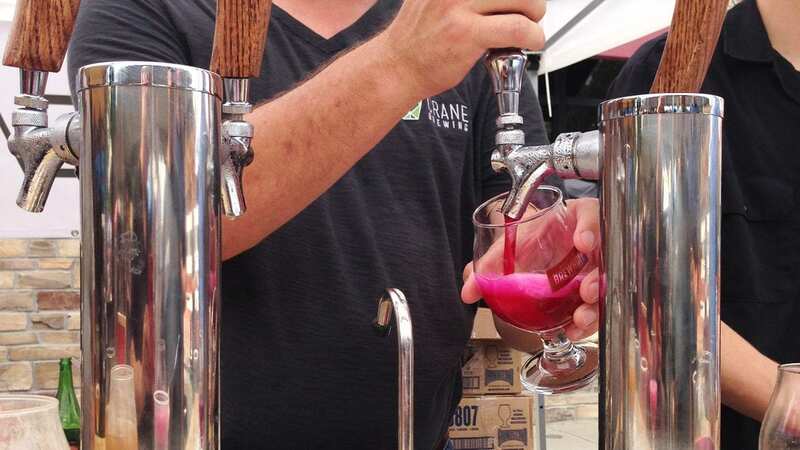 The Taproom at Crane Brewing (6515 Railroad St., Raytown, Missouri) celebrates the release of an English-style Brown scale-up. Homebrewers Justin Blasier and Brian Phillips, winners of the Kansas City Bier Meisters’ 34th Annual Competition, brewed their recipe with Crane’s brewers. Grab a tasty burger and beer at Green Room (4010 Pennsylvania Ave., Suite D), during trivia night sponsored by Martin City Brewing Company. Taps include Kentucky Friar, Radical Candor, Alchemy Coffee Stout and Belgian Abbey Ale.